Bosnia is the latest country on the verge of total meltdown. With a 44% unemployment rate, people are disillusioned and hungry. Police with tear gas attempted to break up protests resulting in 134 injuries which included 104 police. 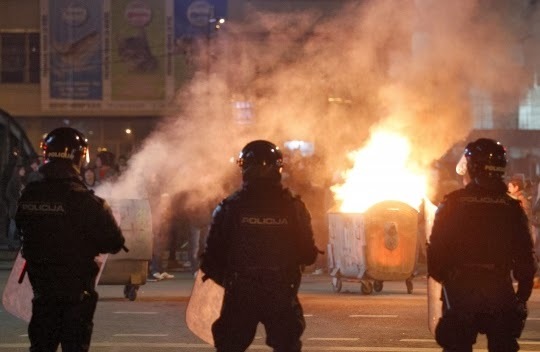 “Thirty protestors and 104 policemen were admitted during the day at the emergency services” in the northeastern town of Tuzla where the protests erupted yesterday, hospital spokesman Adis Nisic told AFP.